It's a great idea to be able to provide yourself these benefits right at home, instead of relying on your local juice or smoothie shop for an often-quite-pricey wheatgrass fix. If you're on the market for a wheatgrass juicer and want to find the best one for you, check out the different types of wheatgrass juicers available below to see which juicer best suits your needs and purposes. The good news for wheatgrass-only juicers is that if you're looking to primarily juice wheatgrass, you can get an awesome, affordable wheatgrass juicer that works just as well as an electric one for half the price (see below). 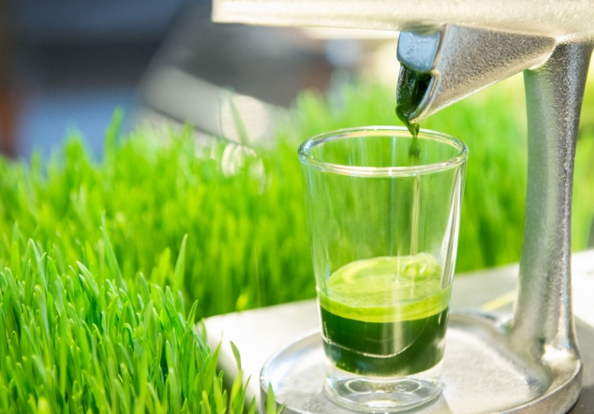 But from our personal experience, wheatgrass is sort of a great "gateway drug" to juicing in general. Many people start by juicing wheatgrass - since it's cheaper to do at home than buying in shots from places like Jamba Juice - and eventually move on to broader and broader produce juicing. The good news for juicers who get hooked on juicing through wheatgrass is that you can get an awesome juicer that does an excellent job of juicing wheatgrass, as well as other produce once you're ready to move on. 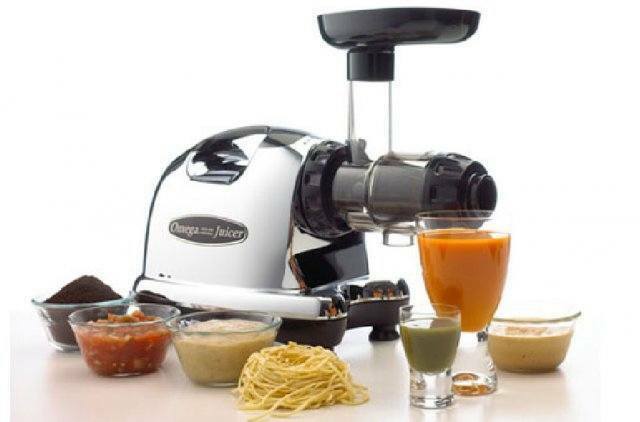 These juicers are electric and tend to cost double what you'd spend on a great wheatgrass machine, but they are much more versatile and allow you to juice a wide variety of produce, as well as do other things like make nut butters, pasta, and even baby food. If you're just starting out on your juicing journey, not quite sure whether you will like it or stick to it long-term, and you mostly want to juice wheatgrass, a manual wheatgrass juicer might be the best way to go. The best manual wheatgrass juicers (see below for reviews) are much more affordable ($50 - $150), easier to clean than electric juicers, and can juice some other fruits and veggies as well. These manual juicers are also great to travel with, which is a definite perk even if you later opt for a more sophisticated, electric juicer. 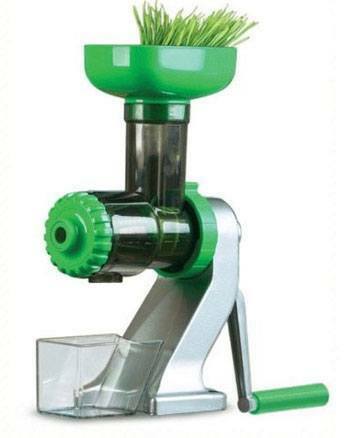 Manual wheatgrass juicers are hand-operated machines that you "crank" to extract the juice out of the wheatgrass. They require no electricity, no batteries - just elbow grease to get you going. A huge plus of these hand crank machines is that they're much easier to clean than their electric counterparts. The downside is that the variety and quantity of produce you can juice is a little narrower. Still, for the price and ease-of-use, manual juicers are a great deal and can produce high-quality juice with little waste and little clean-up time. This juicer is the best value - it's perfect for people who are just starting out juicing and want to test out the waters. It's very affordable compared to other high-quality juicers (only $45 on Amazon) and it performs superbly - it's great at juicing wheatgrass and other delicate leafy greens such as spinach, parsley, kale, collard greens, etc. The juice yield is high and the pulp is usually dry, so it does an excellent job of really extracting the juice from the produce. You can also juice harder produce like carrots and apples on this juicer, but it's real strength lies in leafy greens. This is the perfect start-out juicer. The best part is that when you decide you want to move on to juicing a wider variety of produce and invest in a more advanced juicer, you can still use this one as a travel juicer! This is probably the best manual wheatgrass juicer on the market. At $70.00 on Amazon, it's nearly twice the cost of the Lexen manual juicer (left), but it's still a fraction of the price of other juicers with similar functions. The Z-star manual juicer is unique in that it's basically a single auger, masticating type of juicer without the motor, which means it has the same thorough process of extraction without any of the heat that comes from an electric motor, which means better preservation of nutrients and enzymes. This juicer is pretty easy to use thanks to the larger size of the hopper (where you load the chopped produce) as well as ease of cranking. You can also juice a pretty wide variety of produce in the Z-star, such as leafy greens (obviously), as well as harder produce like carrots, apples, ginger and even softer fruits like tomatoes. Electric juicers that juice wheatgrass range in price from around $100 to $400. You can get a good, electric dedicated wheatgrass juicer for around $180, such as the Miracle Electric﻿ Wheatgrass Juicer which sells on Amazon for $175. However, our honest recommendation would be that if you're going to get a dedicated wheatgrass juicer, the Lexen or Z-Star models above are better, cheaper choices. When you get into the $150 mark and above, it doesn't make much sense to spend that much money on a juicer that mainly juices wheatgrass. Especially you can get a great quality manual wheatgrass juicer at a fraction of the price. If you have more than $150 to spend on a juicer - and you think you might eventually like to try juicing a wider variety of produce - we'd highly recommend saving up for a single gear, masticating juicer which does an excellent job juicing wheatgrass as well as other produce. This is a fantastic masticating juicer (read more about the different types of juicers here) - and the best in its price range. It's relatively affordable - even compared to centrifugal juicers - at around $290 on Amazon. It also comes with a 10-year warranty, as opposed to the Miracle Juicer's 1-year warranty. This juicer processes at 80 RPM, "squeezing" out a really high juice yield without foam, heat, or oxidation to maintain the natural nutrients in the produce. It's also quite easy to use and to clean. A big plus - it operates quietly. 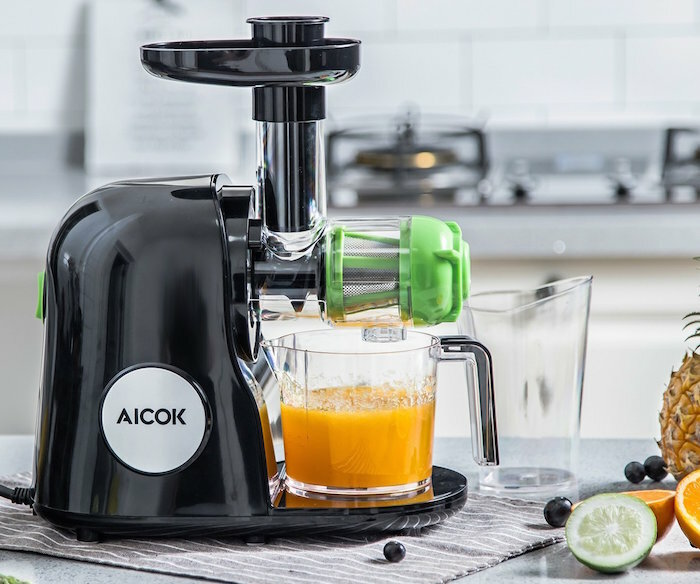 Another great juicer option that's relatively new to the market is Aicok's Slow Masticating Juicer. This is currently the most affordable slow juicer you'll find anywhere, at $110! The awesome part is that this juicer is not just for wheatgrass - as a slow juicer that operates at 80RPM, it's good for wheatgrass as well as other delicate leafy greens but it can also juice a wide variety of produce like celery, beets, apples, oranges, ginger, and so on. Another big plus - it operates quietly and it's quite tiny for a slow juicer, which means it won't take up much counter space. The downside? This juicer is only covered by a 2-year warranty.